Whether you need a little or a lot - We have you covered! 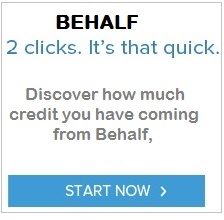 Use the Credit You May Already have! HOW TO START A BUSINESS? MAKE YOUR BUCK WORK! A business loan takes the worry out of start-up costs as well as daily costs. All Candy Containers offers financing options for all credit types and new and established businesses. A loan allows you to purchase much needed equipment. 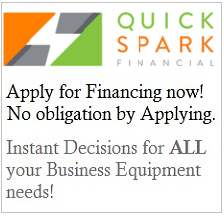 Save on upfront costs of opening and operating a business by financing. Whether you are just opening or updating your surroundings, business financing can work for you! Fast, simple and reliable! When you finance store equipment and supplies, you increase variety and product for your customers. Get the equipment and supplies you want BEFORE opening day with our store financing. Take the worry of business related expenses and receive a higher return on investments, by choosing to Finance today! Low Upfront Acquisition Cost: Leasing requires only a small, manageable monthly payment. All equipment, services, delivery, and miscellaneous costs can be wrapped into the same lease. Conserve Working Capital: Equipment Leasing can ease the strain on working capital. Clients can continue to leverage their current lines of credit at other financial institutions for emergency needs, current cash flow purposes, investments, and other profit generating activities, while acquiring the equipment they need. Low Monthly Payments: Leasing arrangements range from 24 months, where the equipment is generally depreciated, to up to 60 months, where the monthly payment is generally deducted as an operating expense. Tax Savings: When structured properly, lease payments are 100% deductible for tax purposes, resulting in a lower after-tax cost than conventional financing or outright purchasing.